“Yo, wha a gwan. 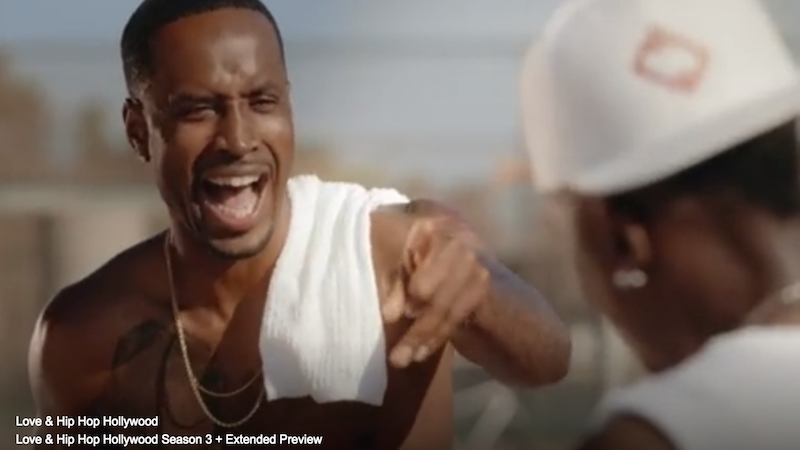 It’s Safaree” is how Nicki Minaj’s ex Safaree Samuels introduces himself, via Jamaican patois, in a trailer for Love & Hip-Hop Hollywood’s next season which doubles as confirmation that Minaj dodged a bullet. Judging from the bits and pieces we see of Safaree in the show’s five-minute teaser, this will surely be a wack depiction of a man struggling to survive post-Minaj breakup. “I left Brooklyn, New York, because my music is poppin’,” he says, which is news to everyone. “My fanbase is growing, and the women out here are beautiful.” Translation: I came to Hollywood to be paid for this reality show because I no longer have a job working with the world’s biggest rap star. Minaj hasn’t tweeted about the trailer yet, but it’s likely she’ll have some cry-laugh-face emojis to express once the show airs. Watch the full trailer below for this season where Ray J decides to settle down with Princess but his mom Sonja Norwood (who manages Ray J and his saner, more famous sister Brandy) insists on a prenup. They also got Fetty Wap to participate in the fuckery alongside returning cast members like Soulja Boy and B2K’s Fizz.